In a few short years, the Presage collection has won over watch lovers throughout the world for its collection of watches that combine Seiko’s traditional watchmaking skills with dials that showcase different forms of Japanese craftsmanship, from enamel to Urushi lacquer. Today, Presage brings to life another expression of Japan’s rich cultural heritage in a series of two automatic watches with dials made of porcelain from Arita, a town which, for over 400 years, has been the home of porcelain in Japan. The heritage of Arita porcelain is respected in the color of the dials, white with a trace of blue, which was the color of the earliest Arita porcelain. The dials, which are made in Arita itself, have the rich texture and depth which is the signature of all the finest porcelain. Arita, a small town on Kyushu, the third largest island in the southwest of Japan, came to prominence in the early 17th century when clay suitable for porcelain manufacture was discovered there and its porcelain products soon became highly prized in Japan for the high quality of their artistry. Within a generation, Arita porcelain, also known as ‘‘Imari ware’’ after the port from which most was shipped, became known overseas and was exported, first to Europe and later across the world when Japan opened its doors to international trade in the 19th century. Today, Arita porcelain is still highly prized worldwide and many porcelain makers still thrive in the town of just 20,000 people, thanks to its long tradition of craftsmanship, to the rich variety of its products and to the uniquely Japanese sensibility that they embody. Arita porcelain was therefore a natural choice for the dials of a Presage collection but the Presage team needed to be 100% confident in its durability and strength. A new type of Arita porcelain material, created just three years ago, provided the solution. This new porcelain is more than four times harder than the usual material and has both the strength and flexibility required for a Presage watch dial. The new Presage porcelain dials are made by an experienced manufacturer in Arita that has been making porcelain since 1830. Hiroyuki Hashiguchi is the master craftsman and he and his colleagues have been developing the dials with the Presage team over the past few years. To produce the dials involves a challenging combination of skill, patience and artistry. First, the base material is put into a special mold which gives dials depth, especially in the version where the power reserve indictor is recessed into the dial with a deep cut. 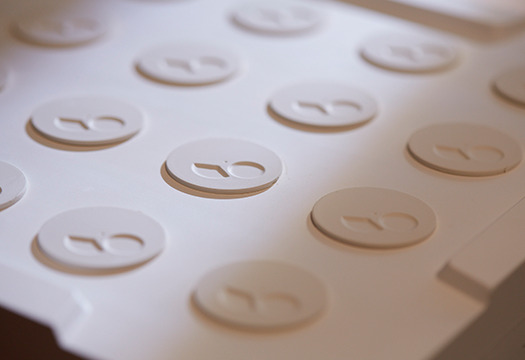 The dials are dried and then fired for the first time at 1,300 degrees to harden and whiten the material. 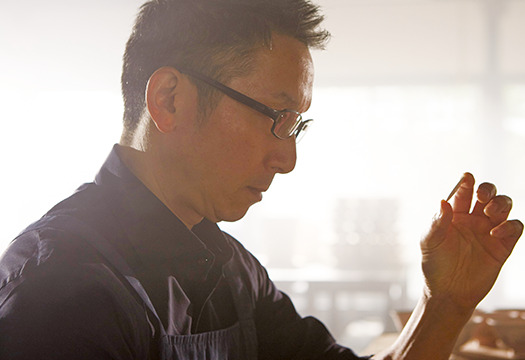 Hashiguchi and his craftsmen then apply the glaze by hand, after which the dials are fired again, this time cementing the glaze on to the dial, a process which gives the dials their deep, rich finish and the subtle blue tinge. Next, the holes for the date window and hands are cut by laser. Finally, the dials are then fired again to render smooth the surfaces that have been cut. 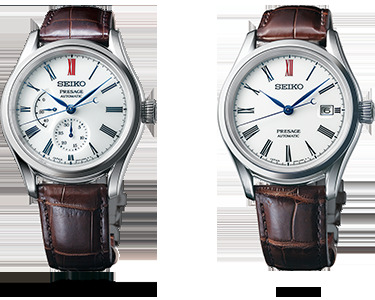 This new Presage series comprises two interpretations of the design, both of which are powered by Seiko’s high performance 6R series calibers. The first offers caliber 6R27, with a power reserve indicator at the nine o’clock position and a date indicator at six o’clock. The second offers a new caliber, 6R35, which delivers a power reserve of 70 hours. Of course, every aspect of both watches reflects the care and craftsmanship for which Presage is renowned. The crystal glass is a dual-curved sapphire, the exhibition case back reveals the fine finishing of the 6R movements and both versions are 10 bar water resistant. 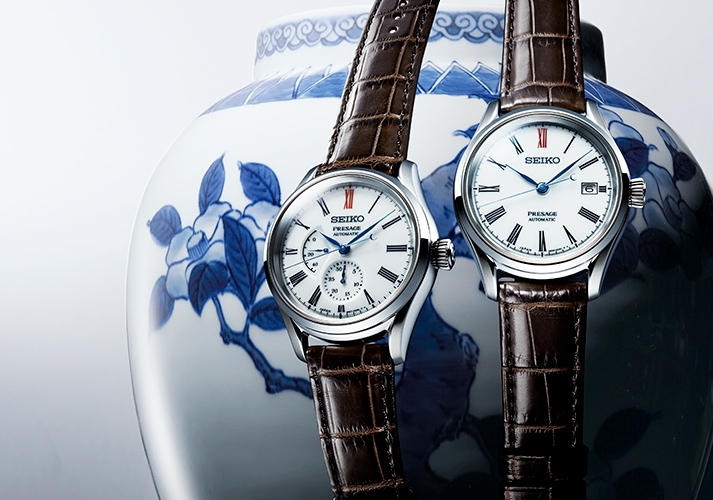 The Presage Arita Porcelain Dial series will be available from September, 2019 at Seiko Boutiques and selected Seiko retail partners worldwide.